Wayfarer is excited to have been invited by Ed Stanton, engineer for Orion Production Operations at NASA, to film Orion EFT-1’s launch in December 2014, and to have been granted media accreditation during the launch by NASA’s media office. We look forward to further shoots at NASA as Orion reaches future milestones. Wayfarer will return to NASA in 2018 to film the launch of the Space Launch System as part of a longer term documentary film about Orion. Leander is proud of his involvement with Disneynature, having co-directed, produced and filmed their flagship release The Crimson Wing in 2006-07. This culminated in the film’s French theatrical release in September 2007 and subsequent releases in the UK, Europe, and Japan in 2009. The film also screened at various international film festivals to include the Edinburgh Film Festival and has appeared on TV networks around the world, including BBC, Sky, and Canal Plus. Disneynature has been commissioning one wildlife film a year for theatrical distribution ever since and is committed to telling emotionally engaging, character-driven stories surrounding major global wildlife events. Wayfarer is proud of the film content we produced for Leobo Private Reserve, which features on their dynamic website (www.leoboprivatereserve.com) and in the two promotional films we produced; a short 6’30” that is being screened at trade shows and can be downloaded from their website here, and a 15 minute theatrical version that has been privately screened in cinemas in the UK and New York to members of the global luxury travel industry. Wayfarer is due to return to Leobo in May 2015 for additional filming opportunities. In October 2011, Wayfarer produced the awards ceremony night at the Natural History Museum for the Wildlife Photographer of the Year Awards, considered by the world’s elite nature photographers to be the most prestigious award currently achievable. Wayfarer invited Yan Arthus-Bertrand (of Earth from Above fame) and British Wildlife presenter Phillipa Forrester, to co-host the awards. Responsibilities included writing the script, directing the talent, commissioning original music by Tom Ingleby and producing all the graphics used during the ceremony..
Leander enjoys a special relationship with this globally acclaimed electro-jazz ensemble, having invited lead songwriter Jason Swinscoe to write an original score for The Crimson Wing in 2006-7. The score won awards at a variety of film festivals, including Jackson Hole and Wildscreen, and was performed live at the Union Chapel in London in September 2007 to a sell-out crowd. The music continue’s to gain momentum, having been used in various major advertising campaigns, including Armani’s Aqua de Gio global ad campaign and, most recently, as part of Johan Johannsson’s Golden Globe winning score for The Theory of Everything. Ninja Tune is The Cinematic Orchestra’s cutting-edge record label and represent some of Wayfarer’s favourite artists. Leander worked closely with Ninja Tune during the recording of The Crimson Wing’s score and has worked with the label subsequently on the visual elements of some of The Cinematic Orchestra’s live concerts. Wayfarer has been working closely with Bristol-based post-production house Films@59 that is best known for its work with the BBC Natural History Unit on such landmark television series as Planet Earth and Life. Wayfarer’s 4K Leobo project, exhibited privately in cinemas across the world, was the first project Films@59 completed with a full 4K workflow. Wayfarer is pleased to be developing new broadcast projects with Australian-based independent distributor Looking Glass International. Looking Glass International is an independent production and distribution company, specialising in bringing factual programming to the international market. LGI markets programmes with an emphasis on unique, edgy story-telling or just something out of the ordinary. Our commitment to understand our client’s needs in an ever changing market has led to the development of very strong business relationships worldwide. In addition to servicing our broadcast clients, LGI also works hands on with talented international producers. From developing stories, finding international co-production partners or pre-sales, through to distribution, our focus is to provide producers with a one-stop shop for their projects. LGI upholds a relationship based on transparency and integrity with all its working partners and is always eager to explore and develop new relationship whilst building on existing ones. Wayfarer enjoys a close working relationship with the talented Tom and Birdie Hall and their team at Contented Brothers. Most recently CB provided the opening graphics sequence for the 15 min theatrical Leobo film, which features on the Showcase page. 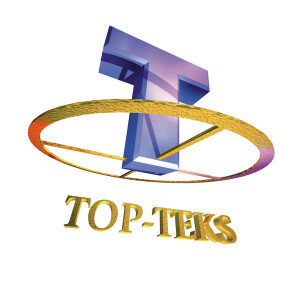 As the leading supplier of video and cinematography products to the broadcast industry, Top Teks highly trained staff provide expert impartial advice and always deliver the highest level of customer service. We also offer servicing, repairs and training workshops enabling our clients to buy with confidence and remain at the forefront of new technologies.